Currently viewing the tag: "crafts"
Study carrel feeling lonely? Assignments got you down? Why not make a little buddy to help cheer you up? That’s right, Hirsh’s favorite pom pom critters are back for two days only! 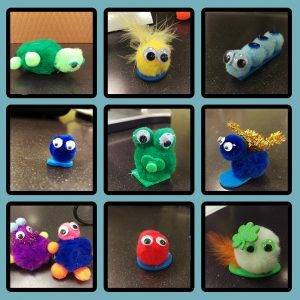 Stop by the Library Service Desk this Thursday 3/21 and Friday 3/22 starting at noon and make a fluffy friend for yourself or someone else. 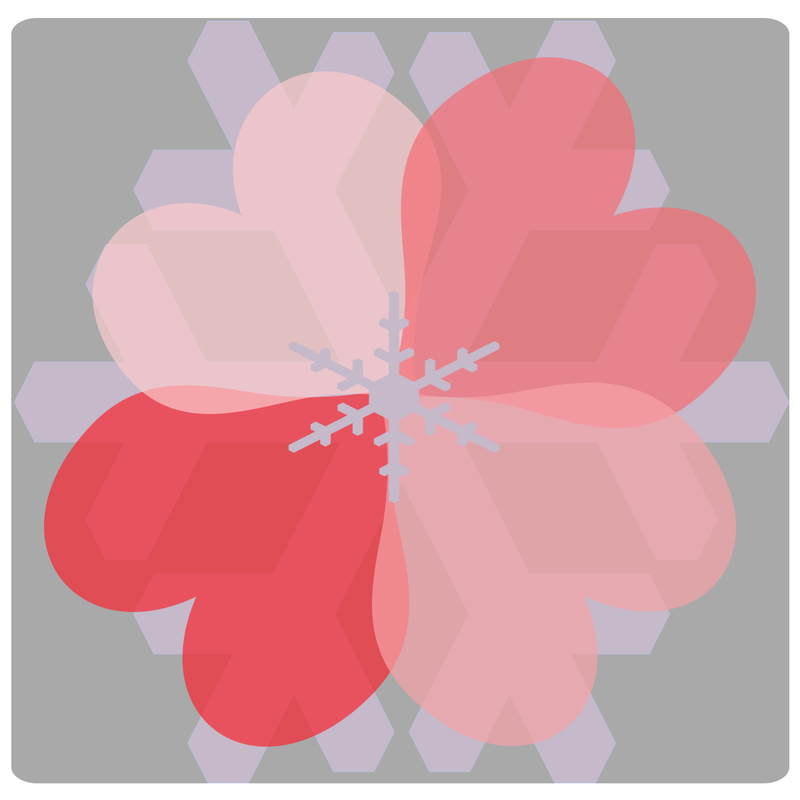 We’re in the thick of the semester, so why not take a moment to de-stress and send some love? This Thursday and Friday we’ll have a variety of supplies out at the Library Service Desk so you can make valentines for yourself, your friends, or that special someone (your favorite librarian, perhaps?). We’ll have all the glitter and doilies you need to let someone know how much you appreciate them! It’s our favorite time of year! Yes, that’s right. It’s turkey time! 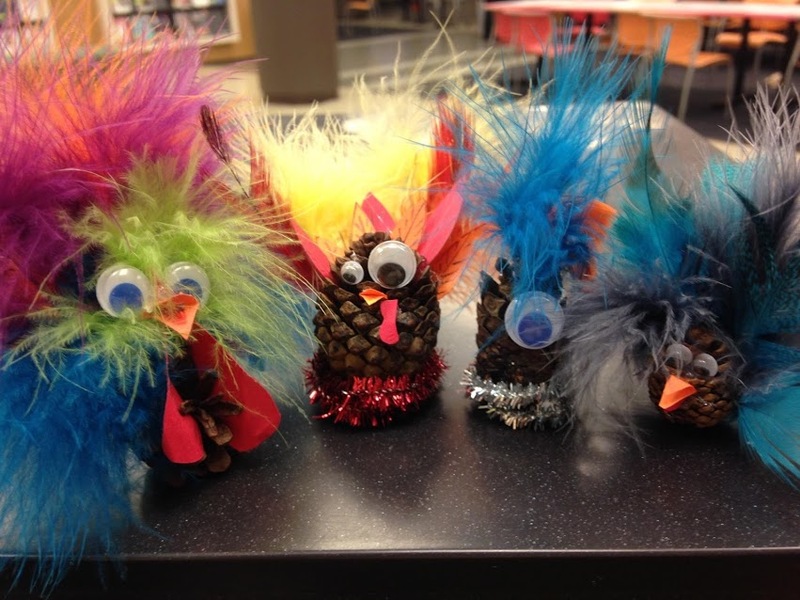 Starting at 12pm this Thursday 11/15 and Friday 11/16, you can stop by the Library Service Desk and create your own feathered friend to bring home to Mom (or back to your study carrel). 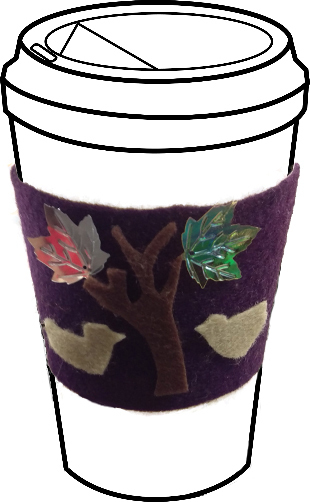 We’ll have a variety of materials out so you can create anything your heart desires, from the simple and majestic hand turkey (our personal favorite) to some 3D pinecone poultry. 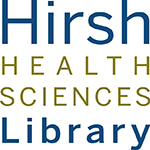 Things to look forward to this week: Library Fun Lab crafts and a therapy animal visit! The weather may still be grey, but we have several fun things going on to brighten up your week! 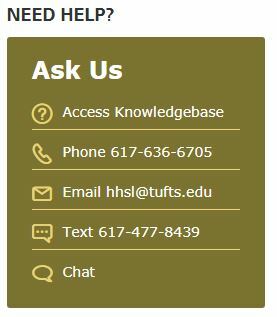 On Thursday 4/12, we will have a visit from Tufts Paws for People. From 3-5pm in the room behind the cafe on Sackler 4, you can cuddle up with a dog, a guinea pig, or a rabbit! You deserve a study break. We also have our monthly Library Fun Lab this week! 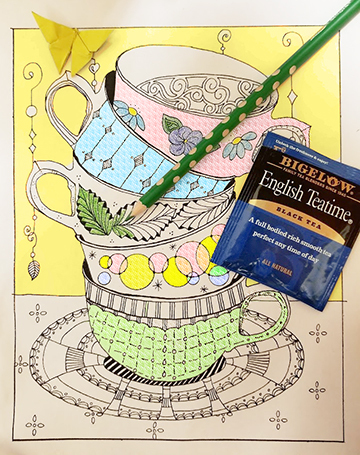 Starting at noon on Thursday 4/12 and Friday 4/13, we’ll have craft supplies out at the Library Service Desk. This month, we’re making good luck charms to help you get motivated, relax, or just crack a smile. 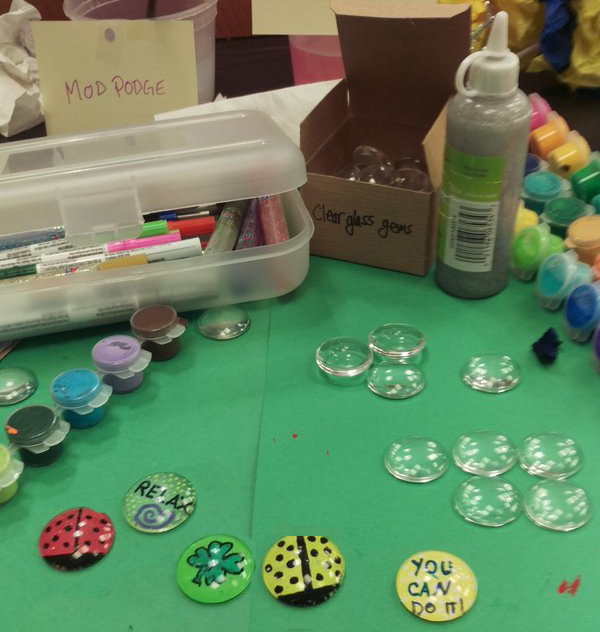 Paint a glass gem or make a button to keep for yourself or give to a friend. Hope to see you later this week! Study carrel feeling lonely? Assignments got you down? 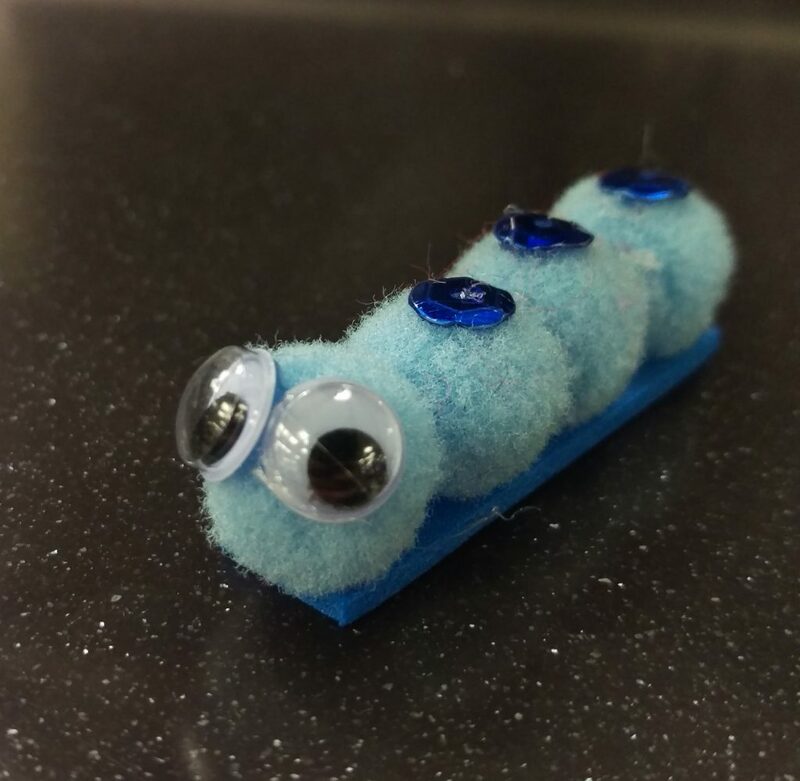 Why not make a little buddy to help cheer you up? That’s right, Hirsh’s favorite pom pom critters are back for two days only! 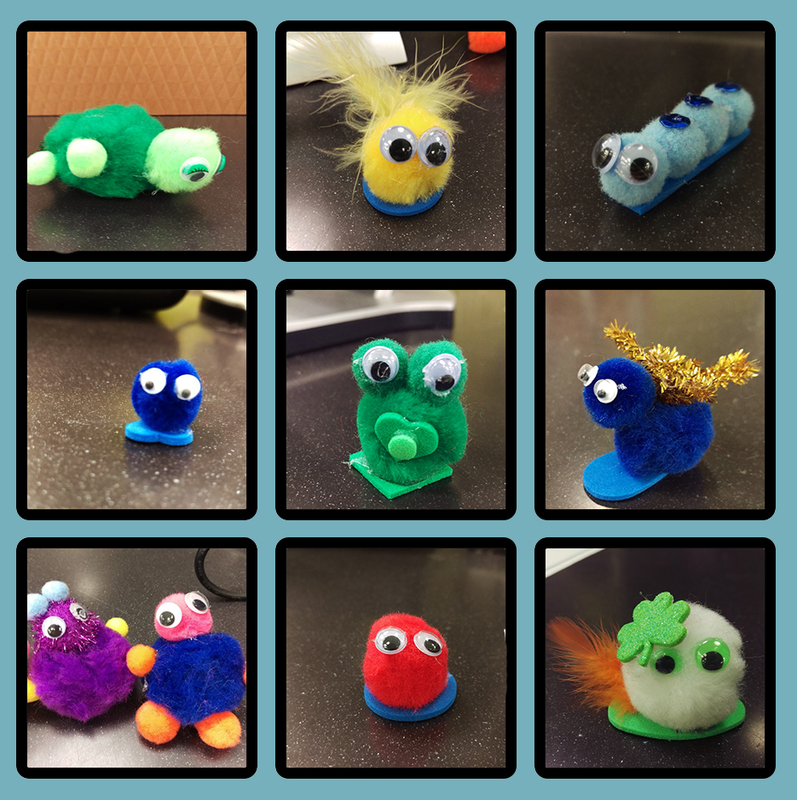 Stop by the Library Service Desk this Thursday 3/8 and Friday 3/9 starting at noon and make a fluffy friend for yourself or someone else! We have all the googly eyes you could ever need. 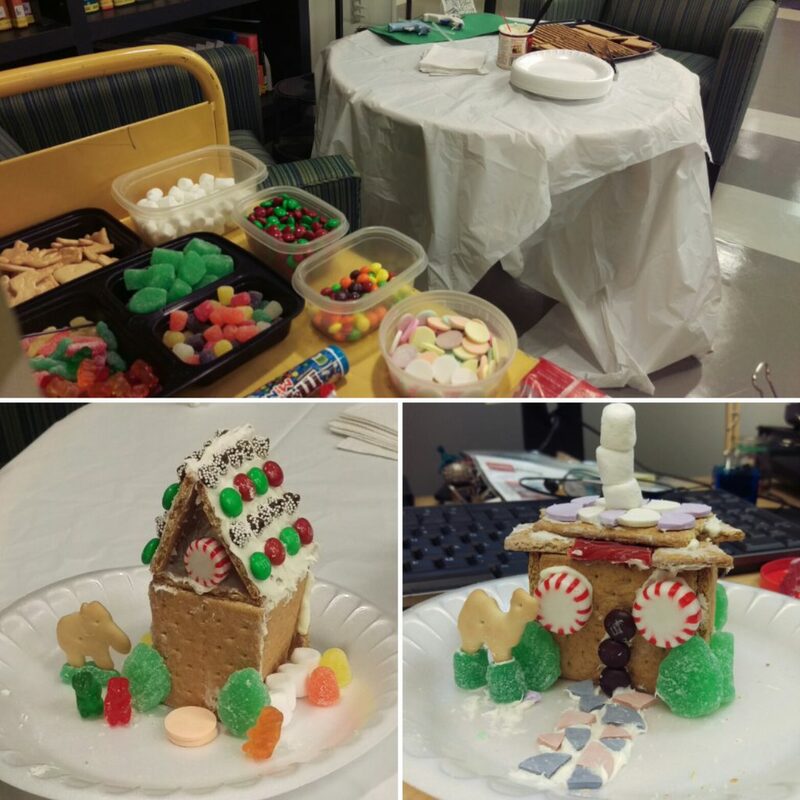 Sweet Library Events This Week: Graham Cracker Gingerbread Houses and Therapy Dogs! Torn between taking a break to make a craft or to eat a snack? This week you’re in luck! Stop by the Library Service Desk this Thursday 12/7 and Friday 12/8 starting at 1pm and create an architectural masterpiece with graham crackers, frosting, and a bunch of candy. And to make this week even sweeter, we’re also welcoming Paws for People back on Thursday from 2-4pm! Stop by the room behind the cafe on Sackler 4 and relax with some therapy dogs. But please don’t share your gingerbread house with them!